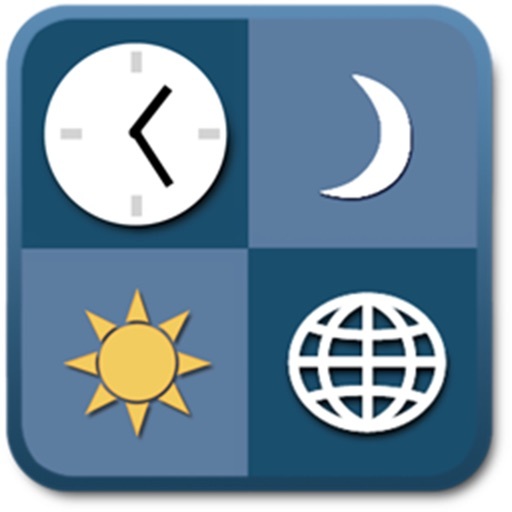 VelaClock is a world clock with unique features and an easily configurable user interface. VelaClock's feature set is ideal for photographers and outdoor enthusiasts. 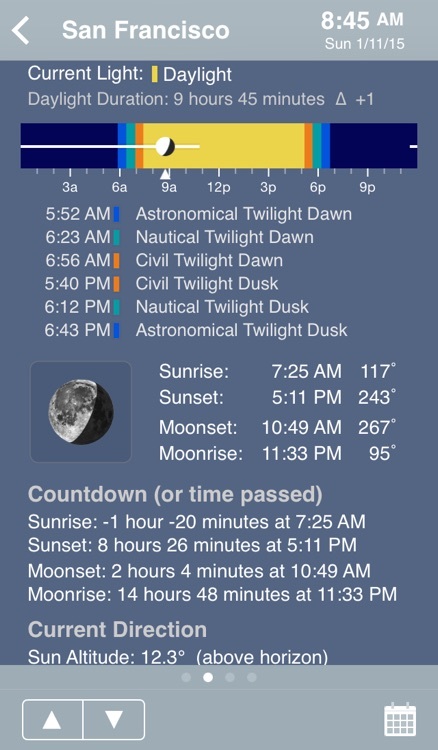 Users can quickly display the time of sunrise, sunset, dawn and dusk for three kinds of twilight (civil, nautical, astronomical), moon phase and tilt, and much more. VelaClock was the featured app at TUAW.com on 3/11/2011. VelaClock is invaluable to users who travel or communicate with friends and colleagues around the world. VelaClock is an excellent tool for finding a good meeting time for cities in multiple time zones. - your current location (using the network or built-in GPS). 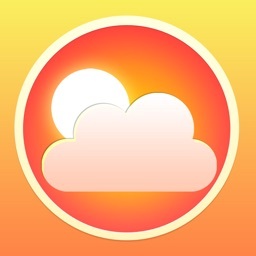 - cities around the world (over 500 cities currently available). 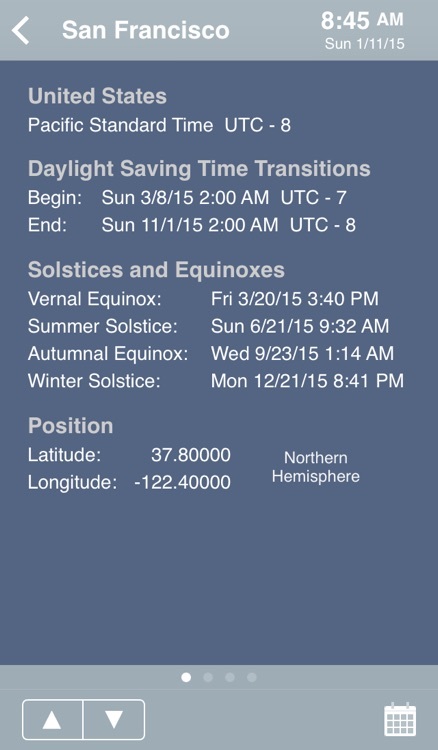 - user-defined locations by specifying latitude/longitude and time zone. 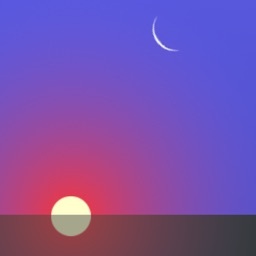 At a glance, VelaClock shows whether a city is currently in daylight, twilight or night. 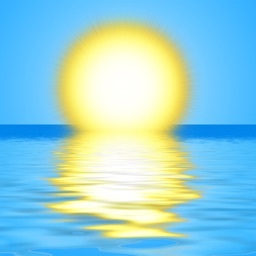 White text indicates daylight (sun is above horizon) and black text indicates night (sun is below horizon). 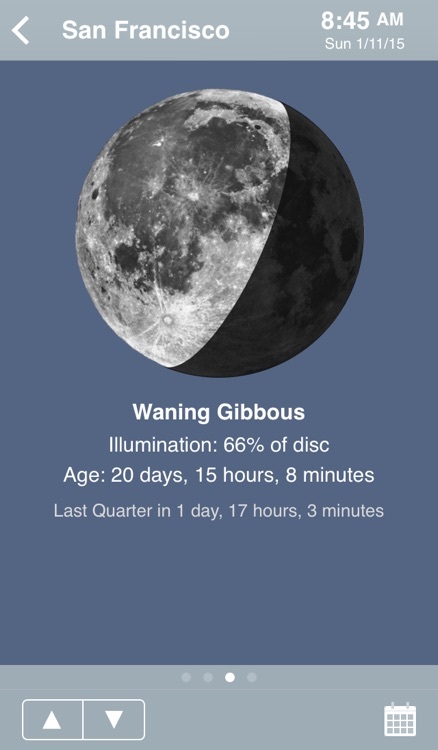 A twilight indicator (a small colored rectangle) will appear to the right of the time when the city is in twilight. 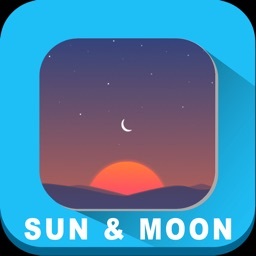 The rows in the city list can optionally show a daylight bar that gives the user a picture of 24 hours of natural light (bright daylight, three kinds of twilight and night). 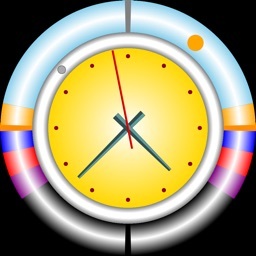 The daylight bar (24 hours of light) may be centered at noon or current time. A thin white bar indicates when the moon is visible. 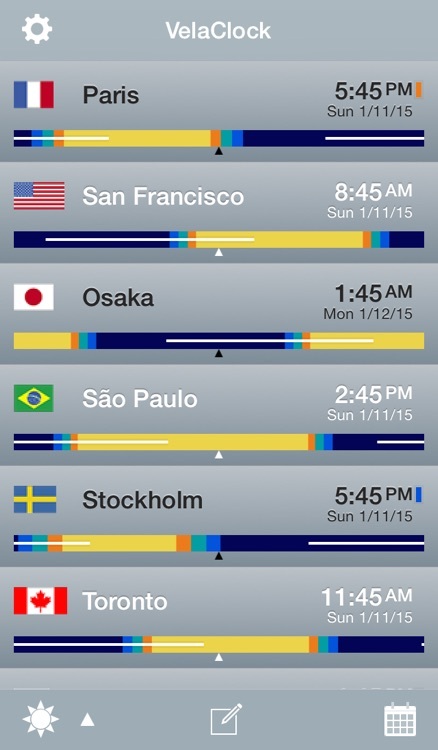 Tapping on a city row will transition to a new view with four horizontally scrolling pages of sun, moon and time zone information. A quick swipe of the finger will move between the four pages. The date/time can be changed by tapping on the calendar icon in the toolbar. Incrementally move a day, an hour, a minute or a week in the future or the past. Arbitrarily jump to any date or time, years in the future or the past. 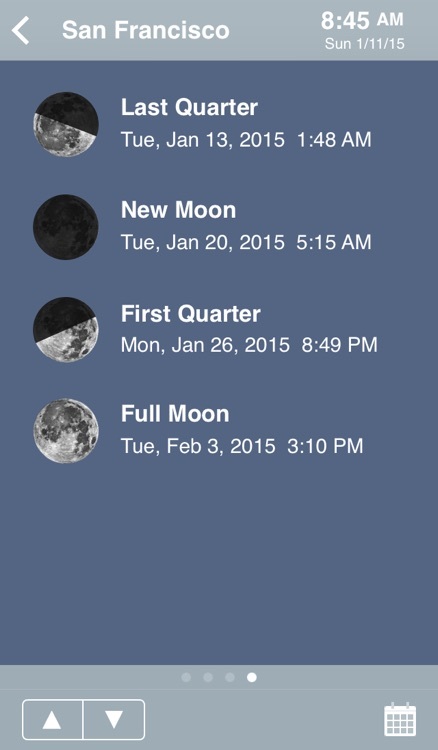 Changing the date allows one to determine when a sunset or full moon will occur in the future or the past. VelaClock does NOT require a network connection. Up to 50 cities may be added.